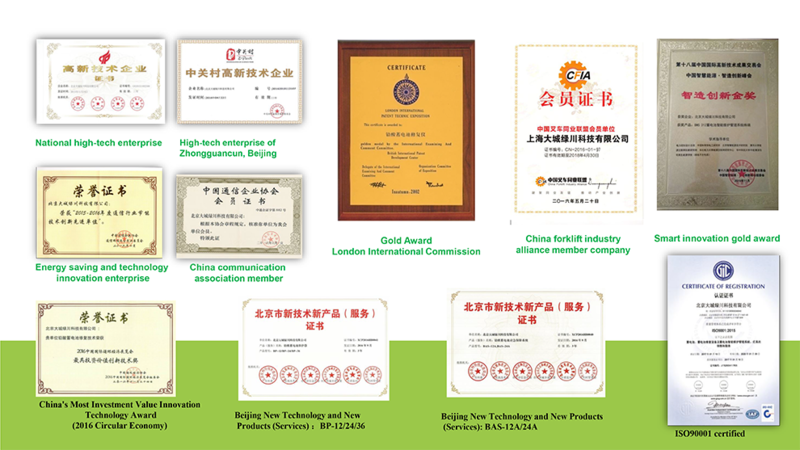 Our Technology - Shenzhen Daceen Technology Co., Ltd.
Our smart pulse charging maintenance technology is a multi-functional charging and maintenance system developed by us based on our multi-year research results used for all types of lead acid battery. It is applicable to digital pulse charging, non-destructive battery repair system and desulfation pulse maintenance of all types of lead batteries in 2V/6V/8V/12V/16V/24V/36V/48V/60V/72V etc. Adopt multi-stage constant current pulse charging mode. When starting charging, it charges the battery quickly through a large duty cycle, and when the battery is close to producing gas, reduce the pulse charging current gradually. 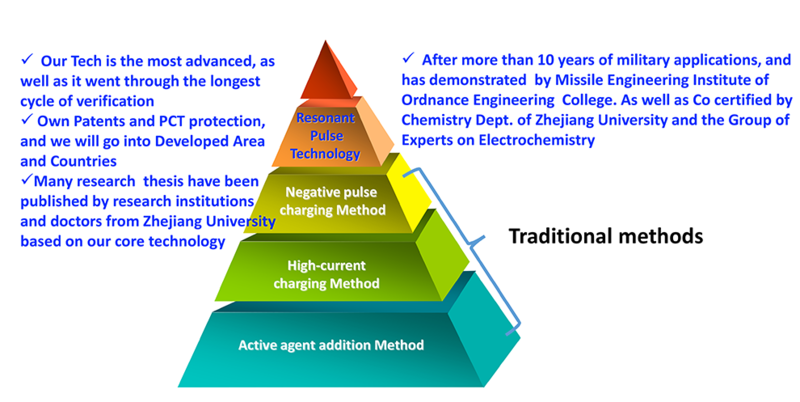 Each charging maintenance pulse is followed by a depolarizing pulse of 1~3 times the charging current, to ensure elimination of polarization and cooling battery plates, so as to improve capability of charge acceptance. Adopt temperature compensation function. Calculate the gas-produced voltage point of valve regulated lead acid battery based on the ambient temperature tested by temperature sensor; at the same time, analyze gas-produced voltage and make dual judgment through the raise of dV/dt not affected by temperature, which effectively solves the problems of sulfation caused by low temperature undercharge as well as water loss and thermal runaway caused by high temperature overcharge. In each charging maintenance pulse, special repair pulse is added to restrain sulfation of lead-acid battery; harmonic components of this pulse resonate with the lead sulfate large crystalline molecule on the battery plate and destroy the condition for forming lead sulfate large crystalline, it also has the function of breaking the lead sulfate large crystalline. Automatically detect connection of the charged battery. The charging switch is not started when the battery is not connected, in order to avoid electrical erosion of the battery plug and damage due to accidental short-circuit output. Automatically identify battery voltage and shift the output polarities of the charger. It can adapt to all the popular batteries on the market. Indicate battery voltage, and various charging and repair states by LED. Have the stronger function of battery desulfation. Produce special battery desulfation pulse, automatically repair the batteries exceeding the storage term in the processes of circulation, storage and transportation and use, and recover charge ability of the batteries. Embedded smart battery management chip and microprocessor. Smartly know how to repair and when to desulfation and charge according the battery conditions and sulphation.